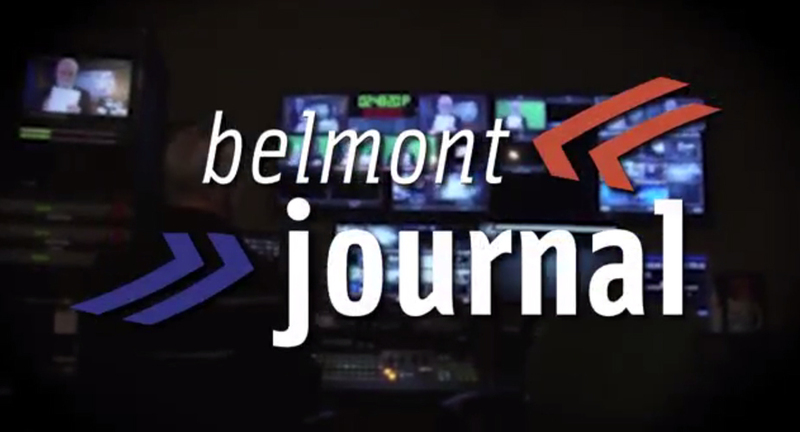 Watch the latest Belmont Journal for local news in Belmont. 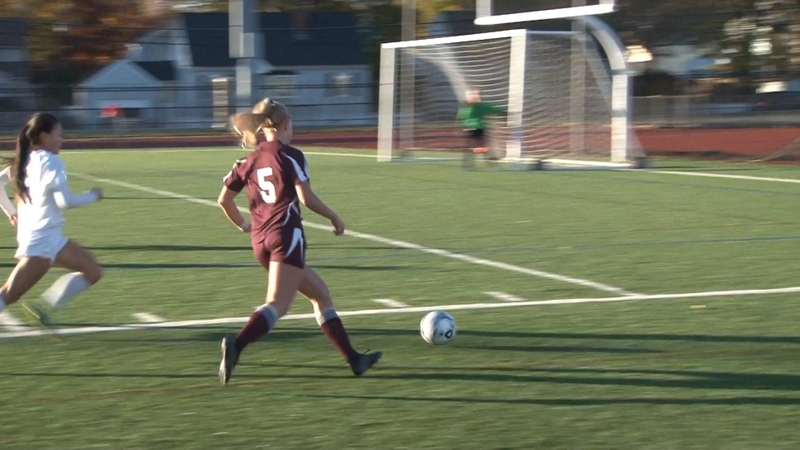 Marauders defuse Needham Rockets in week 2 of rugby season. 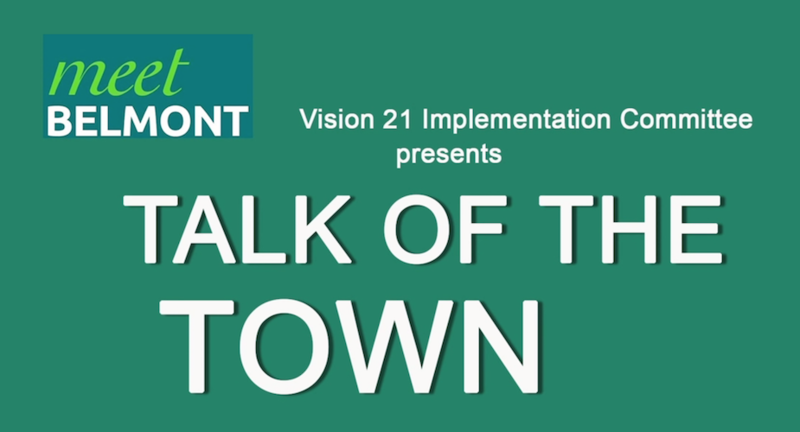 Watch this year's "Talk of the Town" presented by Meet Belmont, held in March 2019. Joanna Tzouvelis talks about the Viglirolo skating rink with Skip Viglirolo and Dante Muzzioli. 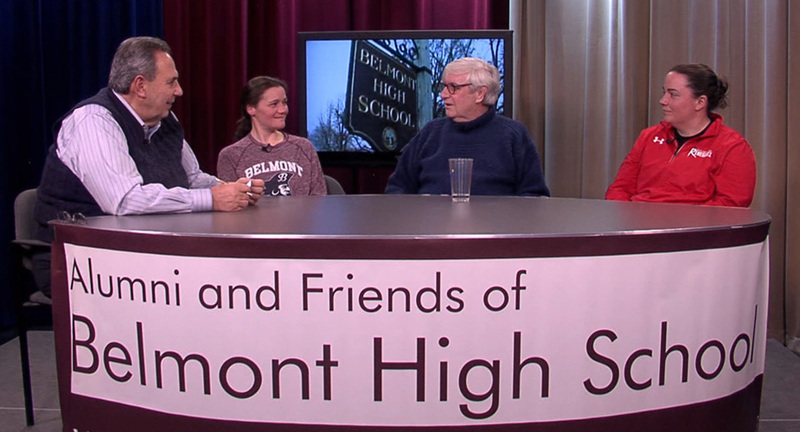 Angelo Firenze and Foster Wright speak with Belmont High School alumni Becca Pizzi and Michelle McDonough. Belmont Marauders vs Lincoln-Sudbury Warriors. Harris Field, Belmont MA. Commentators: Derek Tommy, Tim Berens. Senator Ed Markey holds press conference on PEG Access TV. Healthy Heart Matters Teen Dating App. Middlesex Attorney General Marian Ryan speaks with Joe D'Allesandro (Teen Director Boys and Girls Club of Stoneham and Wakefield) and Eliza Hopkins (Community Service Coordinator of RESPOND). Live coverage of the Belmont Municipal Light Board meeting. 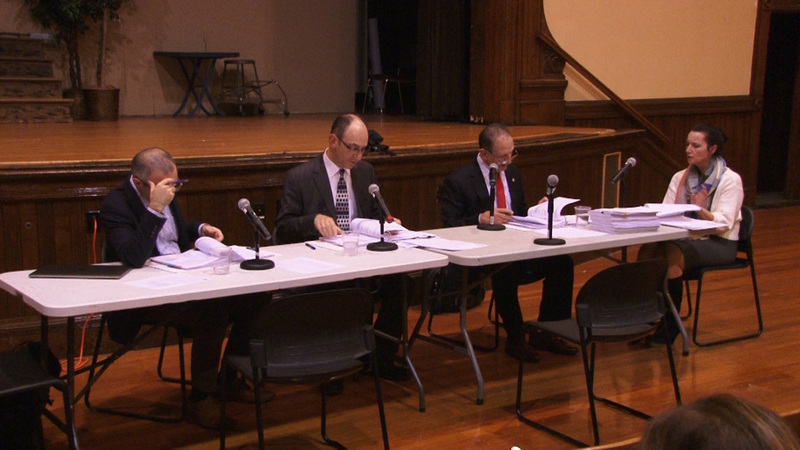 Live coverage of the Belmont Board of Selectmen meeting. Belmont news show with topics including: street worker safety, BHS building over budget, turnover in public schools staff, new bank coming to Belmont Center, new Belmont Gallery exhibit, Family Funshop at BGA, events at the Beech Street Center, community events and sports highlights. The opening ceremonies of the 72nd Annual Massachusetts Student Government Day were held in the House chambers as students from across the Commonwealth gathered in the State House to learn first-hand about the legislative process. Speakers included House Speaker DeLeo and Education Secretary Peyser. Live coverage of the BHS Building Committee meeting. Feelin' groovy, the boys aka Rich & Bob talk once again live from the Beech Street Community Center in Belmont, MA. Roger Colton discusses the anti-idling law with Erika Roberts and Gi Yoon-Huang from Belmont Safe Routes to School Committee. Dr. Gautam Dantas discusses the present crisis of antibiotic resistance, its causes, and how this problem manifests itself in very different areas of the world. He explains the innovative technical and biological approaches of the Dantas Lab toward a solution to antibiotic resistance, including a possible cure for MRSA, a particularly deadly staph infection. Dr. Dantas also talks about the importance of serendipity in scientific breakthroughs. We visit Silver Spring, Maryland. -The Dale Drive Safety Coalition wants sidewalks and crosswalks. -We look at pedestrian problems along Georgia Avenue in Montgomery Hills. -Forest Glen is also divided by Georgia Avenue. Free Speech Audio-Visual Open Mic #5 in Studio A at Belmont Media Center. Performers include Mackenzie Lee Clement, Alex Fam, Banded Starling, Lady Cap featuring Ezra Platt, Charlie G., Bob Uvello, "Average Joel" Kahn, and also poets, and comedians. Whether you have some experience or have never touched a camera, there's a place for you on a BMC-TV crew. We offer on-the-spot training to match your level of skill. 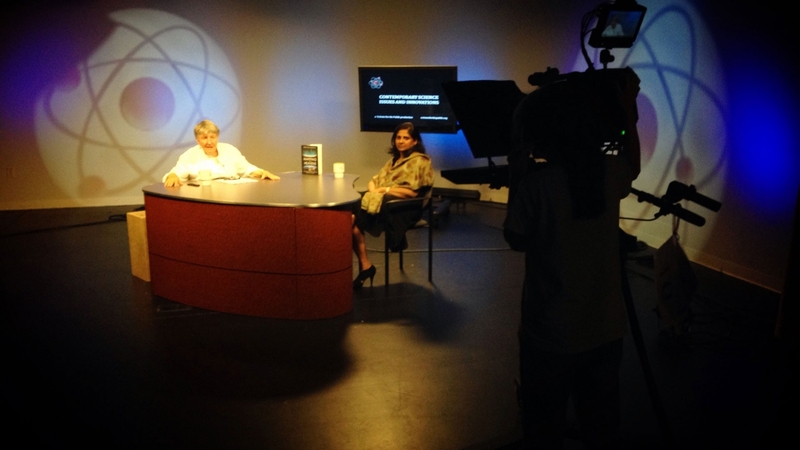 Take a class at Belmont Media Center. Learn how to shoot, edit, direct, interview... whatever interests you. 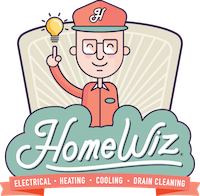 Become a member today and find out how to produce your own community programming.